Lent is over, spring break is here, and it's time for you to return to your heathen ways. Let's drink & watch movies that were banned by the Vatican! On Wednesday, April 7th, we will be screening "All'onorevole Piacciono Le Donne" (Italy, 1972) & "I Am Curious" (Sweden, 1968). I will also be handing out copies of my latest mix CD, "Sound Library Mix, Vol. 2." It comes in a snazzy paste on mini LP sleeve and is mastered by Smokratz himself! 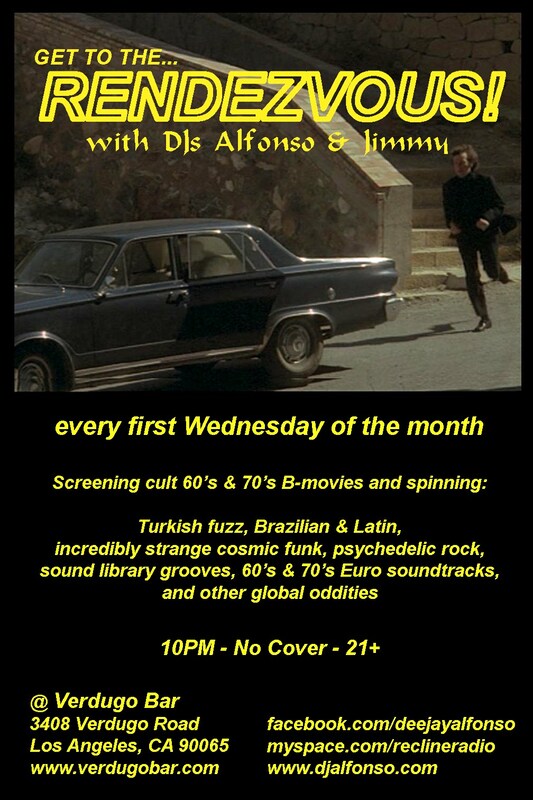 Your resident DJs will be providing the soundtrack for the evening, and will include all your favorite psych, library, soundtracks, ethnic fuzz, and even a little live space echo! RENDEZVOUS! 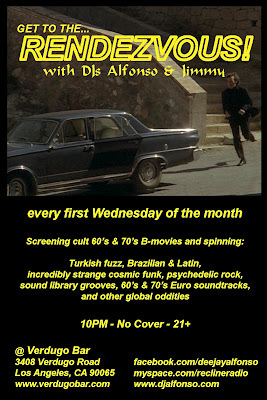 at Verdugo Bar on Friday, April 30th!